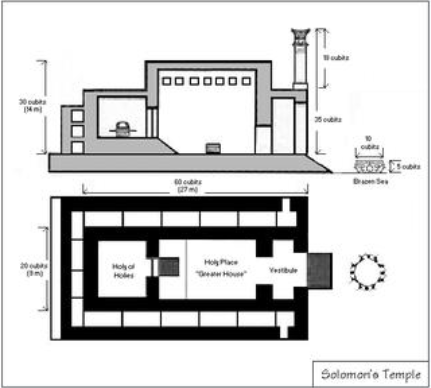 After the Jewish Temple in Jerusalem was destroyed by the Romans in the year 70 AD, and the Jews were scattered throughout the Roman territories, they only had a minimal presence in the Holy Land. However, it was not in the interest of God to have His Child left out in the cold forever, so they started to trickle back into the Holy Land. This trickle became a flood after the Second World War and on May 14th, 1948 the nation of Israel became an independent and sovereign state, thus fulfilling a prophecy by Isaiah: “Who hath heard such a thing? Who hath seen such things? Shall the earth be made to bring forth in one day? Or Shall a nation be born at once? For as soon as Zion travailed, she brought forth her children.” (Isa.66:8). 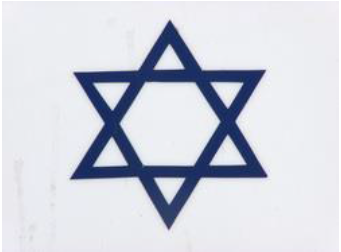 However, in order for us to really understand this text and its coming to pass, we have to dig down to the roots of the Jewish Nation and see if we can somehow reconstruct the path God intended for this as well as the other nations (religions), that will eventually one day end up on the banks of the Great Spiritual Jordan. I just have to inform you that due to the acceptable length of a generally “readable” article, we’ll have to be very concise, but I certainly hope that the message will get through. The Jewish nation as they are today can eventually be tracked back to the Adam and Eve of Genesis, and they play a vital part in the bringing forth of the “Seed” of the Promise of Gen.3:15 through their bloodline! That “Seed” travelled through the succession of the Patriarchs and in Father Abraham this Promise to the “Seed” was reconfirmed (Gen.12:7). After him came father Isaac and following him father Jacob, with whom things started to take shape. Then God did a very important thing in the history of the Jews: He changed the name of Jacob to “Israel” for two cardinal reasons. The first is that God wanted a special nation to evolve from the 12 sons fathered by Israel. The second reason is this: like God regards Jacob as an individual, He also regards the offspring of “Israel” as ONE GREATER UNIT, no matter the differences in the Tribes that will eventually evolve into many Nations (Religions). The “Blessing” was sealed in the “Seed” and this Seed is a very special Person who came into the world very quietly but His legacy is immeasurable. However, one fact is indisputable: Like father Jacob had an “apple of His eye” called Joseph, Father God also has a very special “Apple of His Eyes” called Judah (“Zion dwelling in Babylon” = the exiled Jews - Zec.2:7-8). We'll see shortly why God had this special relationship with Judah. The Israelites started the EXODUS CALENDAR when they left the slavery of Egypt under the leadership of Moses, crossed the Jordan and settled the Promised Land under Joshua. They continued to live their Tribal lives in a loose federation under the Judges and later king Saul. King David managed to reunite the Tribes again, but when his son Solomon died, the schism that threatened for so long eventually manifested in a permanent North-South split. The Northern 10 Tribes rallied around king Jeroboam and the Golden Calves at Bethel and Dan and called themselves “Israel”, while Benjamin was assimilated by Judah and they rallied around Rehoboam and the Temple in Jerusalem (1Ki.12) under the name of “Judah”. Then the divide became even bigger. Israel was exiled by the Assyrians, only to come back to Jerusalem under a New Covenant (Jer.31:31-34, and confirmed by Heb.8:8-13). When the other Tribes “disappeared’ it became vital for Judah to take up the flag of Israel (all 12 Tribes) and the Scrolls of the Torah and the Prophets and marched down the avenue of Time until their next Great Appointment in the Master Plan of God. Judah carried on living under the succession of kings until the Temple was destroyed. They were then exiled to Babylon under Nebuchadnezzar. They eventually returned to Jerusalem, rebuilt the Temple, but they lived in their Divine allotted land as a Governorship of Babylon until the Syrians defeated Babylon. Then followed the Desecration and Rededication of the Temple; then they experienced a brief time of independence under the Hasmonaeans; then the Romans came and spoiled the party. At the dawn of the Christian era the Temple was completely rebuilt by Herod and when Jesus came on to the world scene, the table was laid for a totally new and extremely ghastly experience for the Jews. The very first sad thing that happened for the Jews was the cancellation of the Sabbatical years and the Jubilee. Exactly 1200 years after the Fall of Jericho (which started the Jubilee count) when the trumpets announced what was thought to be the 25th Jubilee in the year 8BC, they in fact announced the Birth of the Son of the Aion who was born on Yom Kippur. Simultaneously they sounded the death knell for the Agricultural System of the Jubilees. Oh yes, there were no warning from any prophets or priests, but the earth spoke to the Jews who were an agricultural nation. The Sabbath-year double yield started to fail. By the year 41AD when it was supposed to be the 7th Sabbath Year followed by the 25th Jubilee in 42AD and the yield of the land supposed to have tripled, the situation was dire: Famine struck the Jews hard. One reads in the New Testament of this famine and how the Christians helped their Jewish counterparts (Acts11:28, 1Cor.16). However, this food crisis was only the beginning of the tribulation for the Jews. And that is how the Atonement between God and humans is really achieved. The very first Passover on the day the Israelites left Egypt in the Exodus under Moses also has a direct bearing on the killing of the Passover-Lamb of God, but that is a different message for a different article. This article is about the role the Jews played in the Atonement between God and the humans of all nations. The Christians proclaim it was the solo effort of Jesus Christ, but “not so” says the Word of God. The Jewish nation played a vital role next to that of Jesus. They became Azazel, the Scapegoat, next to the “Goat for the Lord”, Jesus the Sin Offering! No matter which way one looks at this Atonement, if God could have done it without involving the Jews, He would have done it without involving the Jews. But now, God involved the Jews and the time has come for the whole world to sit up and take note of the role the Jews played in the Atonement between God and Mankind! But being the Scapegoat was certainly no picnic for the Jews. They were credited with the sins of the human race, from Adam to Last Trumpet! They became the scumbags and the punch-bags for the world. The “Sin-Offering” was killed by means of crucifixion. It was excruciating! This part of the Atonement is well documented and proclaimed by the Christians, although I disagree with the interpretation that Jesus received the forty-minus-one lashes as stipulated in the Law of Moses. 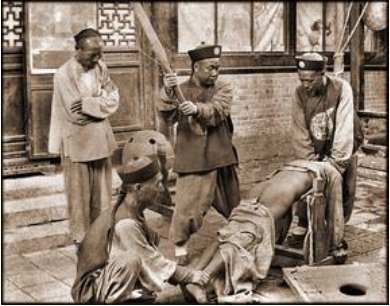 One must take into consideration that Jesus was flogged according to Roman law. It was the Jews, who were under the Law who bore the brunt of the stipulation of Deut.25:1-3 in their Jewish Tribulation: “If there be a controversy between men, and they come unto judgment, that the judges may judge them; then they shall justify the righteous, and condemn the wicked. And it shall be, if the wicked man be worthy to be beaten, that the judge shall cause him to lie down, and to be beaten before his face, according to his fault, by a certain number. Forty stripes he may give him, and not exceed: lest, if he should exceed, and beat him above these with many stripes, then thy brother should seem vile unto thee.” And it’s the Christians and the other eschatological Tribes of the eschatological Israel who will bear the brunt of those “40minus1” stripes in the coming “Great Tribulation” (Matt.24:21)! As Judah moved further down the Avenue of Time on the Azazel Calendar in this Spiritual Exodus, the lashes came to pass, the one after the other. What happened to Jesus Christ on that fateful day, happened to the Jews through nearly two thousand agonizing years! They were betrayed, falsely accused, dragged before the courts and condemned to this terrible flogging, the sentence carried out by their fellow Brother-Religions. They should have received the mandatory count of forty lashes, but I wonder….! The esteem of the Jews was so terribly diminished in the eyes of the world that I wonder if the “brothers” had not perhaps lost count of the lashes! Then, the crucifixion…! 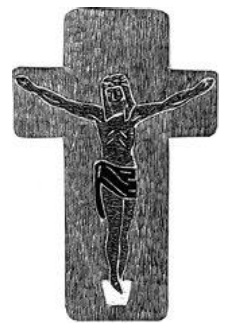 Golgotha for them was just about everywhere in the world where Jews were found and a grave could be dug, with the biggest crosses at the extermination camps of the Nazis. 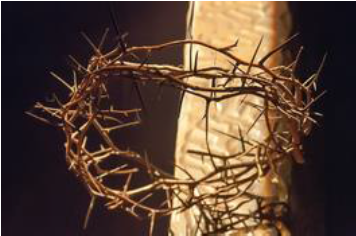 They received the crown of thorns to indicate the long road they had to walk through Time to their place of execution. They had all their valuables removed, even the gold from their teeth, were stripped naked and donned a mocking-coat! Then their hair was cut off, this action indicating that their “period of their Nazirite separation to the Lord was over” (Num.6). But instead of them to be brought before the opening of the “Tent of Meeting”, they were brought before the doors of the gas chambers of Auschwitz and others and instead of their hair being thrown into the fire, their dead bodies were thrown into the fires of the incinerating chambers! The curtain lowered on an extremely horrible segment of the history of the Jews and the Historical Israel was no more. 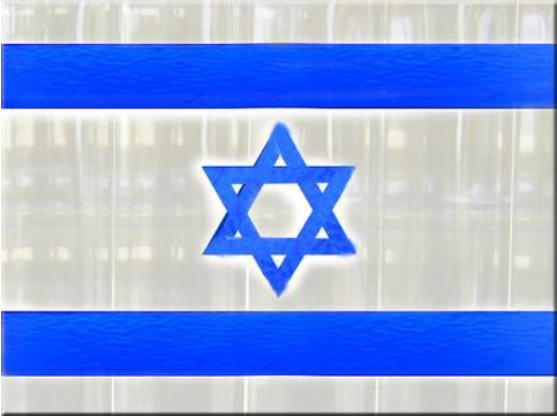 The banner of the Historic Israel the Jews carried with them over the passage of time was also burnt to ashes with the remains of the Jews. However, the Torah and the Law and the Prophets survived. Yet, all was not lost. The Lord determined a Rebirth for the Apple of His Eye: “But as the terebinth and oak leave stumps when they are cut down, so the holy Seed will be the stump in the land.” (Isa.6:13) Isaiah Chapter 6 is a special prophecy regarding the future of Israel (the Jews) when Christ appeared on the world scene. The Apostle Paul discuss this phenomenon in Rom.11 about the “remnant of Israel” and Jesus referred to this chapter when He spoke about the Jews in John 12 (verse 40). The axe finally felled the “terebinth and oak” in the “final solution” of Hitler and his Nazi’s, but the “stump” was left in the grounds of the Promised Land. Soon the “Breath” of God’s Spirit blew the Jewish leaves and branches, which were scattered all over the world, back to the land of their ancestry. All of a sudden the “terebinth and oak” stood in full bloom again and the Jews arrived at a very important point of their history on the 14th May, 1948 when the Independent State of Israel was declared. The Jews were finally HOME and NOBODY was ever going to expel them again from their God-given right to be reunited with the God-given soil of their God-given inheritance through their God-given Father: Abraham! A part of the prophecy of Isa.66:8 came to pass on May 14th, 1948. ”the earth (was) made to bring forth in one day” Like the legend of the phoenix the Historical Israel died in the fire of the Holocaust but the Eschatological Judah was born from its ashes after a very long and traumatic gestation period. The Birth was very bloody, as the Arab nations surrounding her declared war on the fledgling state, even before the echoes of the Declaration resounded around the world. But the Jews triumphed against the odds. In this war God surely sided with the Jews and let the enemies of the Jews sit up and take note! God will not allow anybody, whether it is a nation or a dictator, to rent the Divine Resident’s Permit of the Jews. Anyone attempting such will encounter the wrath of the Living God! There was only one action left to set the machinery in place for the complete fulfilment of the prophecy of Isaiah 66:8 and that came to pass on the 5th of July 1950, when the Israeli Knesset passed the Law of Return on the Day of Return (falling every year on July5). By this Law the Knesset targeted the Jews that were still scattered around the world, but in fact the Divine Presence inspired this piece of legislation. Although the Israeli Knesset passed the Law, the Law of Return has a much wider impact and audience than just that of the Jews. Judah was declared the Firstborn by Jacob after the misdemeanour of Reuben (cf Gen.49:3-10). God offered this Firstborn in the fire of the Holocaust in conjunction with His other Firstborn whom He executed on the Cross on Calvary, and all for the Atonement of sinful mankind with the Holy God.